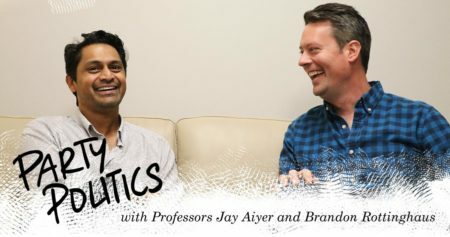 A podcast hosted by two political science professors, Brandon Rottinghaus from the University of Houston and Jay Aiyer from Texas Southern University. They’ll provide you with up-to-date politics and policy conversations for your next cocktail party or tailgate. Ask them questions on Twitter using #PartyPoliticsPod or by emailing Party Politics. Texas Says Voter Fraud May Be Happening, But Is It?